Hamilton trained at the University of Ulster, the Art College, Belfast, where he rejected many of the trends of so-called contemporary art in search of some of the ancient values of painting now discarded by so many. Finding no-one to teach the science and craft of painting Ken spent a considerable amount of time researching the techniques, mediums and pigments of the old masters. He spent three years in succession copying in the Louvre, Paris; to experience at first-hand what no book nor teacher could never impart… that is, to stand day after day in the space before a masterpiece where the master himself stood and let the painting be the tutor. His paintings do not openly deal with the angst of the artist’s own soul or with the ‘human condition’ but rather seem to be a celebration of the visual pleasures of the world in which we live. By pointing towards these pleasures he is also reminding us of their fleeting nature, not to create in us a sense of despair but so that we may savour the moment and enrich our lives by taking our time and drawing our attention to them. 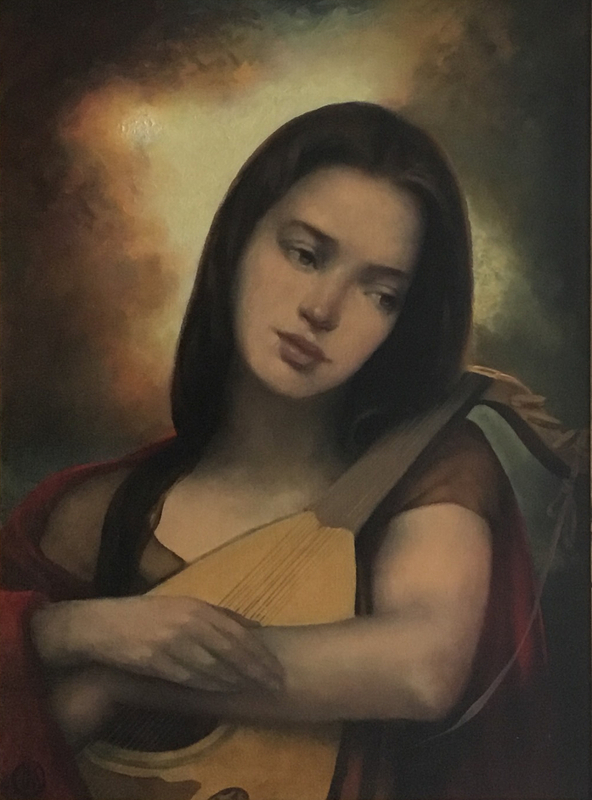 It is now over twenty years since Ken Hamilton first exhibited and throughout that period his paintings have gained a growing audience of admirers and collectors and have always been in demand. Having regularly exhibited in Belfast and Dublin he has also exhibited in London and New York with equal success.